No matter who you are or where you’re from, your family has a story to tell. Sometimes this history is passed down through parents or other relatives who experienced life in a different country. But if you don’t have access to a primary source of information about your distant relatives, what can you do? As it turns out, there are a number of ways to explore your family’s ancestral origins. Whether you’re more interested in family stories or your genetic makeup, learning about your ancestry can be incredibly rewarding. We’ve put together a list of five ways you can connect with your heritage, with options ranging from doing a little internet research to taking the trip of a lifetime. 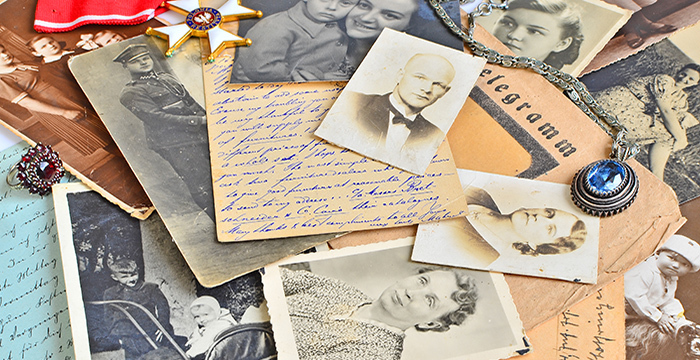 There are plenty of websites that offer the ability to explore your genealogical information. Some sites, allow you to comb through historical records and other public information for free, while bigger genealogy sites charge you for access to more reliable data from a variety of sources. Either way, these sites let you start with what you know about your family, and then mine their database for new information to get a clearer picture of your lineage. Generally, the main data points are birth and death certificates, marriage licenses and census data. Some sites even include info about gravesites, making it possible for you to track down the final resting place of your distant relatives. While the data on ancestry sites is at times unavailable or incomplete, a DNA test takes information about your unique genetic makeup and uses it to trace your family lineage across many generations. With an autosomal DNA tests, a simple cheek swab, you can learn about your family’s migratory patterns spanning back hundreds of years, see the unique composition of your genetic makeup broken down by the ethnicity, and much more. There are a variety of detail-rich DNA tests you can take. Another benefit of participating in ancestry-based DNA testing is that you’re not just learning more about your own background, but also providing more data points that can help us to better understand the ways humanity shares a common history. When it comes to family, nothing brings everyone together like the ritual of a home-cooked meal. Especially when you’re preparing foods associated with your family’s cultural lineage. If you’re looking for inspiration, see if there’s a family recipe passed down through the generations or flip through a cookbook dedicated to a specific cuisine native to your ancestors. Whether you’re celebrating a cultural holiday or just brushing up your cooking skills, spending time in the kitchen preparing a family recipe is a tasty way to revisit your roots. Communicating in your ancestral language is one of the strongest ways to connect with your cultural heritage. Learning a new language not only allows you to communicate with foreign relatives more easily, it also makes it easier to get around when you visit your family’s homeland. The best way to pick up a second language will depend on timing and your preferences. You can try free smartphone and tablet apps that let you practice your skills whenever you have a few free minutes. For a bigger dedication, comprehensive language software options focus on offering an immersive learning experience. If you’re more of an offline learner — or in a hurry — look for group classes or seek out a private tutor. No matter how you choose to pursue it, becoming bilingual is a useful lifelong skill that will strengthen your bonds with your ancestry. There’s no better way to connect with your family’s heritage than by visiting the places that your ancestors once called home. If you’ve done your research online — and especially if you’ve learned the language — it’s possible to explore places that mattered to your relatives and learn more about their way of life. This kind of travel might involve a little more time off the beaten path than your typical vacation, but if you’re willing to plan out the right itinerary, it can be very rewarding. Even if you aren’t sure where your ancestors lived, there are plenty of ways to experience the cultural offerings of their homeland. Heritage tourism, a travel concept focused on providing an authentic introduction to a foreign culture, is a good place to start for those looking to explore their identity. Some governments also have exchange programs that facilitate travel for those with cultural, ethnic or religious ties to the country, like the Birthright program in Israel, which might make it possible to visit your ancestral homeland at a discounted rate. These are just a few of the many ways you can connect with your heritage and get a feel for your family’s cultural roots. Becoming an active participant in your cultural heritage is a great way to deepen your bond with both family members nearby and communities around the world. As you start to investigate your ancestral identity, check to see if you have ties to a country that offers citizenship by descent for a great excuse to take an extended trip to your family’s homeland.